If you are interested in Learning to run or running a 5K race, here are some 5K tips to keep you informed! Always warm up before you start run/walking or running. Walk for 10 minutes, jog on the spot, do jumping jack or side lunges. Any dynamic movements to get your muscles warmed up and heart rate moving. Wear clothes that have great wicking power! Clothes made of polyester, Lycra, acrylic any fiber that pulls sweat away from the body is the best. This prevents chaffing and increases your comfort level during your run. Wear a watch to monitor your time, especially if you are doing interval running. (switching from walking to running) A GPS is a great option. If you have decided that running is the sport for you, invest in a Garmin GPS for monitoring your speed/Distance/pace/time and more! Don't eat before you run or race a 5K. Make sure you have a good dinner the evening before and 45 minutes before you run the next morning have a yogurt and a banana. I can eat a banana 10 minutes before I leave for my run and not be bothered by cramps! Drink a cup of water an half hour to 15 minutes before you head out for your 5K to cut out feelings of dehydration. Getting to know yourself and how you feel first is all about good training for a 5K. Some people can't drink anything close to an hour before or even during a run. Make sure you drink water on the return, drinking water in sips and at room temperature makes it easier on your digestive system. Sometimes gulping cold water can make you sick. If you are going in a 5K run/walk or run, make sure you walk the course first. We are creatures of habit and we like to know what we are getting into... most of the time. If you can't be at the course before, make sure you look the course up on the race website. Register for a 5K race a couple of months before, you will feel more motivated and prepared because you are working towards a goal. 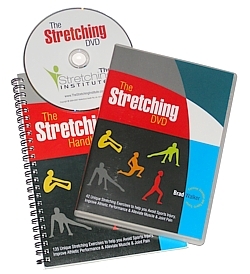 Practice doing stretches after running a 5K, you can learn how to stretch with this great book from The Stretching Institute. Smile. Smiling does amazing things when you run...It corrects a tired posture, motivates you to go further, improves your self esteem and has you enjoying your run more! Excellent tips! I like to keep my mind off the race by people watching. I find it’s the perfect time to do so as there are plenty around.